Do you have a burning question about the UK's favourite and longest running ghost hunting show? Here you'll find the answers to the most commonly asked questions about Yvette Fielding and Most Haunted. How old is Yvette Fielding? Yvette was born in Manchester on 23 September, 1968. Making her 50-years-old in 2018. She's married to the executive producer of Most Haunted, Karl Beattie, who also appears on screen in the show. Find out more about Yvette Fielding, and check out her top ten scariest moments. Do they really use night vision cameras on Most Haunted? At times in the show's 16 year history there have been claims that the night vision seen in the show was a post-production effect which was put in during the edit. Meaning that the show would have been shot on normal cameras and with the lights on in the properties they visit. It's true there might have been times when this happened, especially during the Most Haunted Live shows. But since the show returned from a hiatus in 2014 this technique hasn't been used and the show has been shot using true night vision with the lights turned out on location. Modern night vision is a little different to the night vision with a greenish tint from the early 2000s, today it depends on low-level light as much as infrared and the picture has a high contrast black and white look. In the show the team can often be heard making reference to turning on and off the night mode during filming. They often switch back to day mode to show full colour for example, or to show the true light level when lights are being turned on and off mysteriously in a location. Most of the time you can see the lights above the team are off, you also see them fumbling around or reaching out into the dark unknown. However, the properties are rarely completely void of all light. There are often emergency lights or exit signs which can't be turned off, and in some locations light from street lights or neighbouring buildings might bleed in from the outside. The team do their best to fully darken the locations and in recent episodes they are usually honest and point out when the location they are investigating isn't in complete darkness. Below is a clip which shows a moment when Karl switches the camera from night mode to normal. What happened to Cath from Most Haunted? Catherine Howe, the former makeup artist for Most Haunted, worked on 153 episodes of the show from 2003 to 2010. As well as working behind the scenes, she was a favourite on camera and was known as the "screamer." She appeared in 35 episodes of the show, starting with episode six of season two in 2003, and last appeared in the 2010 episode shot in Belsay Hall for series 15. After leaving the show, Cath has gone on to host private ghost tours but is not credited as working on any other television productions either in person or providing her hair and makeup skills. If you want to find about all about the current cast and crew of Most Haunted, visit our cast page. What happened to Stuart from Most Haunted's hair? You may remember that in the earlier series of Most Haunted, Stuart has a full head of hair, but now he is completely bald. So, what happened to his hair? Well, believe it or not, Most Haunted's Stuart Torevell lost his hair due to alopecia brought on by a paranormal scare during series five of the show. 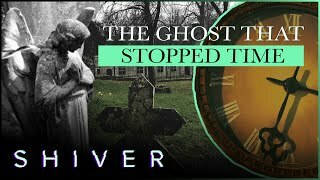 The team were investigating the ghostly goings on of The Ancient Ram Inn in Wotton-under-Edge, Gloucestershire for an episode which aired in 2004. Towards the end of the investigation, Stuart fell to the floor and screamed for help saying "I can't move." The team around him Karl, Jon Dibley, and Derek Acorah rushed to his aid. Stuart cried "don't rub my chest." Derek said "I felt him being walloped the second time, he was hit fully in the chest and ribs." Stuart said afterwards "I'd been punched in the chest, I'd been winded. And as I went down, I got punched again then. So, I got winded twice. I was like a young kid in a playground getting picked on and beaten up. When I went down I felt like I was being kick constantly in the stomach." The Ancient Ram Inn episode aired in November 2004, and Stuart's head of hair remained for the duration of the series, as well as the first half of series six. It was episode 13 at Fyvie Castle that we last saw Stuart with hair. In the following episode at Craigievar Castle, Stuart wore a baseball cap throughout. As of episode 15 of series six, shot at The Black Bull in West Yorkshire, Stuart has had no hair. This wasn't his only petrifying experience with the show, check out Stuart's ten most terrifying Most Haunted moments. What channel is Most Haunted on? Most Haunted is currently aired on digital channel REALLY, which broadcasts in the United Kingdom and Ireland as part of the UKTV family of channels. You can watch REALLY on Freeview (17), Sky (142), Virgin Media (129) and Freesat (160), plus YouView, BT TV and TalkTalk TV. Prior to series 16 the show's home was Living TV, Sky Living. Current episodes can be watched on demand on the UKTV Player and some shows are available on Netflix in certain territories outside the UK. When is Most Haunted on TV? Since the show returned in 2014, a pattern has emerged of a series early in the year and another around Halloween. The show usually airs in a 10pm time slot. To find out when the next episode is on, and for information on upcoming episodes, click here. What is Karl Beattie a doctor of? You may have noticed that Karl calls himself Dr. Karl Beattie, so what exactly is he a doctor of? Well, Karl confirmed on Twitter that he is a doctor of criminology. He also boasts that he has a large private collections of crime ephemera, one such item showed up in a Most Haunted episode shot at HMP Shrewsbury. Karl used a bust of a man's head created from the face of a man who was hanged moments after his death. At a time before finger prints or photographs were widely used, making an eerie death mask like this was the only way of recording who they'd hanged and what they looked like. 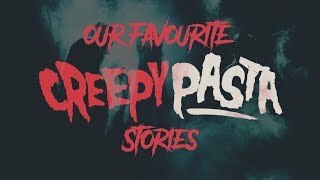 When it comes to paranormal activity, Karl experiences some of the most physical occurrences, check out Karl's most violent Most Haunted moments. There has always been a lot of debate over the validity of Most Haunted's paranormal investigations. They have on many occasions been accused of faking evidence. It's really a matter of opinion whether the show fake things and to what extent. Personally I think the crew's reactions to everything that happens to them is genuine. A lot of the evidence they catch on camera is impressive... could it be achieved with camera tricks and special effects? Well, yeah... anything can. So, the debate goes on, you can find more arguments either way here. Who are the current team members of Most Haunted? For loads more information on the current cast check out our Most Haunted crew pages. How many series and episodes of Most Haunted have there been? As of the end of March 2019 there have been 24 series of Most Haunted produced, but the official series count is 23. The numbers differ because the 2007 series 'Most Haunted: Midsummer Murders' was never released on DVD and was treated as a spin off series. This has put the series count out by one. The show's broadcaster and websites like IMDb and Wikipedia all agree that there are only 23 series of the show and if you have the DVD collection then your boxsets will follow this method of counting the series. To date there have been 15 series on Living TV and a further nine on Really. When REALLY started airing the show in 2014, they reset the series count to one, making the next series season nine. As of the early-2019 series, there have been 268 episodes of the show as well as 36 Most Haunted Live shows. For a complete list of episodes, including descriptions, links to reviews and how to watch, check out our Most Haunted episode guide. Are series 16 and onwards available to buy on DVD? All of the original Living TV series were released on DVD in the UK, that's series 1 through to nine. Series ten, 'Midsummer Murders' was never released on DVD, but series 11 was released with the title series 10 and from this point on the DVD numbering sequence doesn't match the series count. The last DVD to be released which was series 14, this is actually the 15th series of the show. Series 16 and onwards, which has been airing on UKTV's Really channel since 2014 have not been released on DVD. This is due to a decline in DVD sales in general and down to the fact that all these new episodes are available to watch online for free via the UKTV Player. You can view a complete list of all the Most Haunted DVDs which have been released since series one by clicking here. Has Stuart left Most Haunted? Some fans have asked whether Stuart Torevell has left the show after he was seen on screen less in series 21. Stuart only appeared in the episodes shot at The Fleece Inn and Rowley's House, as well as the Halloween special. But, throughout his absence from the show, Stuart was still an active part of ghost hunting events put on by the Most Haunted Experience. He put fans' worries to rest and returned to the show for series 22 in an episode at the Llanfylin Union Workhouse. If you're missing Stuart, check out his ten most terrifying Most Haunted moments. Why does Karl always claim that #MostHaunted is trending on Twitter when it's not? If you follow the cast of the show and tweet along while Most Haunted is broadcast, then you may have noticed that Karl often posts a screen grab which appears to show #MostHaunted trending. But when you look at the trends in your Twitter app, Most Haunted is nowhere to be seen. So, what's going on? It depends on how you have your trending settings set. What Karl and other members of the Most Haunted team are seeing is "tailored trends." What this means is that instead of seeing what is actually trending in the town you live in, the country, or globally, you actually see what's trending amongst the people you follow. So of course on Karl's Twitter feed, while the show is on air, it's going to be full of tweets using the show's hashtag, unfortunately this doesn't mean it's "trending." Those who see #MostHaunted in their tailored trends will see it at different positions depending on how many of the people they follow are using the hashtag. Will there be another Most Haunted Live? While fans love the "as live" show, there's no denying that they'd love a full live edition of Most Haunted, but is there one on the cards? The team were recently asked this question during a live online Q&A session. Yvette confessed that she is frustrated that they can't take the show out as a live broadcast, she said, "if the truth be told, it pisses me off because we should be doing them live." The show's producer, Karl added, "nobody wants a 'live' more than us, we all want it exactly the same," and added "we are doing are absolute best and we are hoping to bring you something one day." As frustrating as it is, Karl promised to let fans know of any updated on social media, and said "we so desperately want to do a 'live', because we know you guys love it. 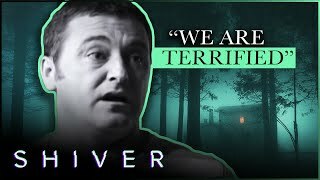 The 'lives' are always the life blood of Most Haunted, it was a way for us to see lots of the fans all in one place, we can talk to them about the show, what they like, what they don't like." An update came in August 2018, when Karl tweeted: "Sadly UKTV has made it very clear to us that they don't have the appetite for a Most Haunted Live despite our best efforts for a number of years and your petitions and emails asking for one. So, if we do a paranormal live show on Halloween it will not be on the UKTV network." The last Most Haunted Live! which was broadcast on Really from 30 East Drive in 2015 remains the most watched programme in the channel's history. As well as plans to bring back live episodes of the show, there's also talks about making a feature film, find out more about the Most Haunted movie. Why aren't there mediums on Most Haunted anymore? There have been many mediums used in the show over the years, most notably Derek Acorah, but for the last few series a psychic has been noticeably absent from the team. In a 2015 interview, Yvette explained why, "we no longer use mediums on Most Haunted, I believe that there are people out there who truly are psychic, they truly are spiritual and are mediums as we call them, but I think sadly the majority of people who call themselves psychic and mediums that are on the television, that do theatre shows, that seek money for tickets and so on, I think they're charlatans, they've been found out, they are fake, they are frauds." Yvette went on to explain that they caught many of the show's psychics trying to surreptitiously find out information about the location and its haunted history, mediums being caught in toilets on the phone and finding their pieces of paper with information on. Yvette says, "hopefully by us not having mediums on Most Haunted anymore we'll be able to move forward and bring back some confidence in some people." How do the Most Haunted team keep fit? By exorcising regularly. If you'd like more cheesy Most Haunted jokes like this one, click here.